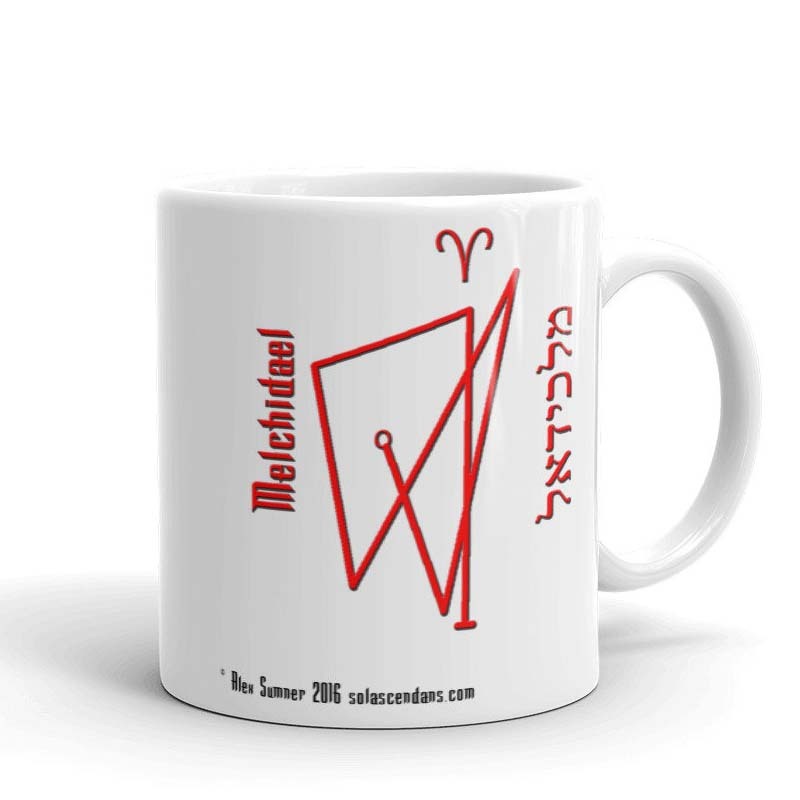 Aries Hermetic Qabalistic coffee mug: featuring the sigil of Melchidael, Angel of Aries, according to the teachings of the Hermetic Order of the Golden Dawn. You now have the opportunity to celebrate your birthday – or get a present for an Aries in your life, from my Etsy shop. This features the sigil, taken from the Golden Dawn’s rose-cross lamen, of the Angel of this month’s astrological sign (in this case Aries), in the correct Zodiacal colours.